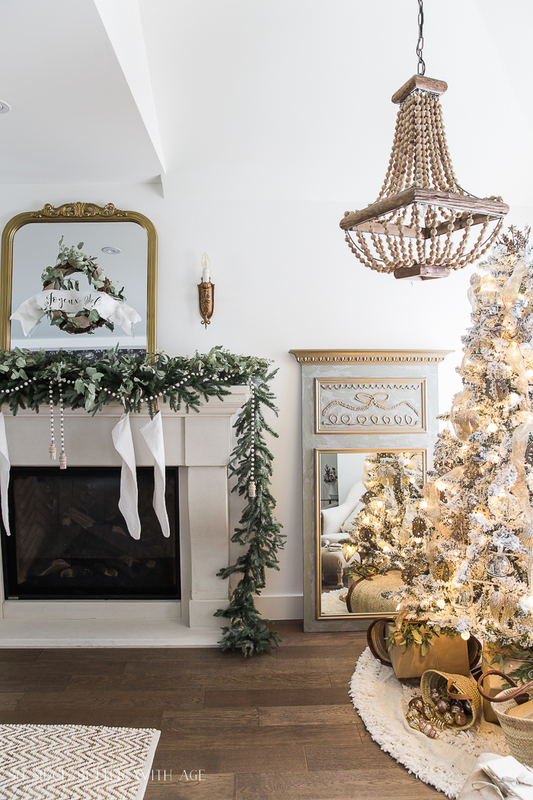 This French Vintage Christmas living room and mantel tour has many beautiful French touches that you can recreate in your home. 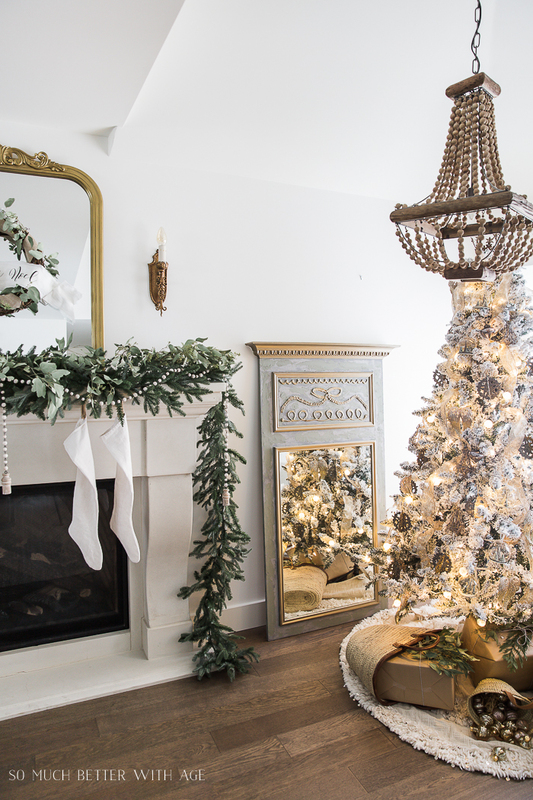 Welcome to my French Vintage Christmas living room and mantel tour! 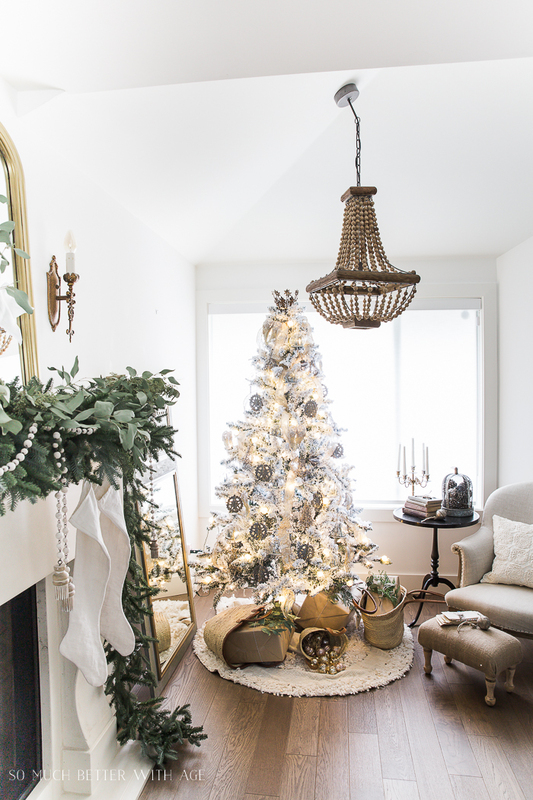 Today I’m participating in the Magical & Merry Holiday Home Tour hosted by Sarah of Grace in My Space so be sure to visit the other bloggers at the end of the post! If you’re coming here from My Vintage Porch, welcome! 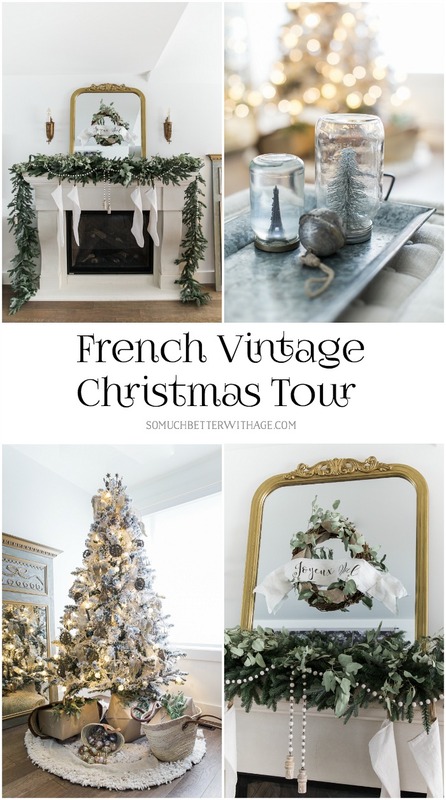 I just posted my French Christmas Dining Room on Monday and today is part two of my Christmas tour – my French Vintage living room and mantel. 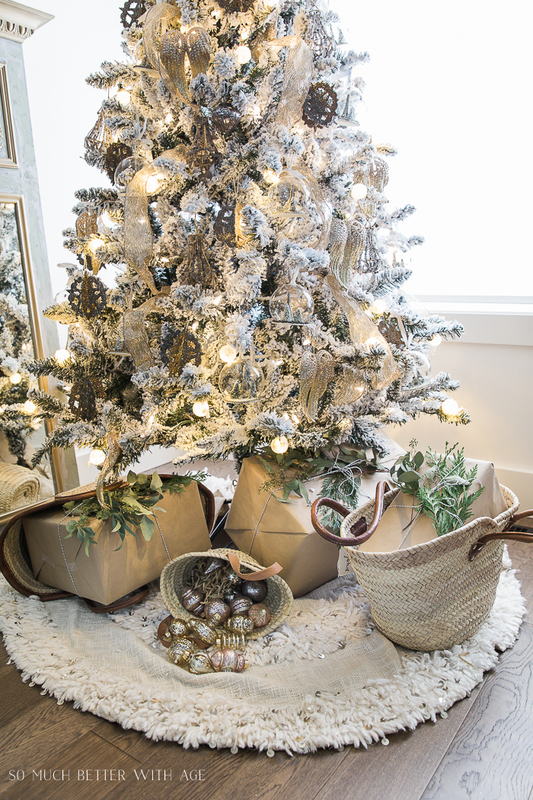 I wasn’t sure if I would be able to top last year’s Christmas decorating as it was just featured in a 14-page spread in Cottages & Bungalows! The ideas I had to change it up a bit worked and I’m in love with this year’s decorating more so than last year. I love the way my mantel looks this year! 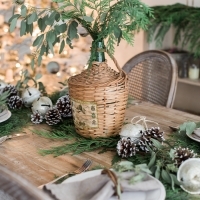 I’ve been obsessed with seeded eucalyptus all year and added some to my faux evergreen garlands. 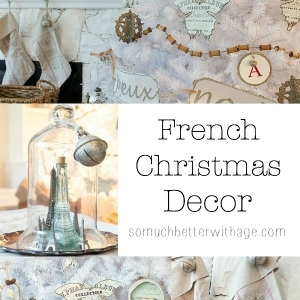 I made this Joyeux Noel fabric banner on the mirror last week. You can find the tutorial here. 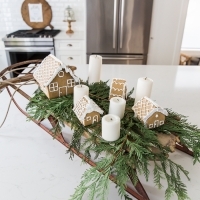 These beautiful wooden garlands are from Soft Surroundings and I’m in absolute love with them! 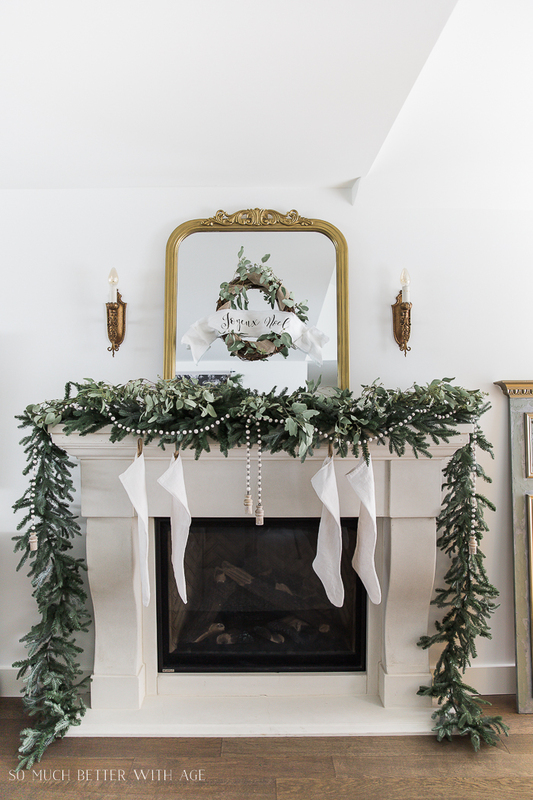 I knew instantly that I would be draping them around my fireplace when I saw them online. I have two of them draped over my mantel. The European-looking stockings I made last year from antique French linen. You can find the printable sewing pattern in that post. 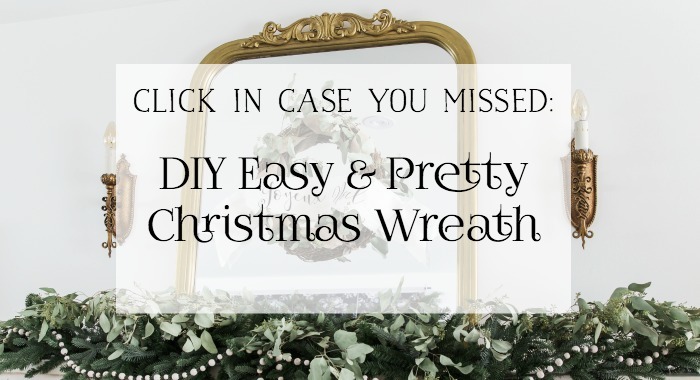 You can also make this wreath and the beautiful fabric garland as I posted the tutorials. 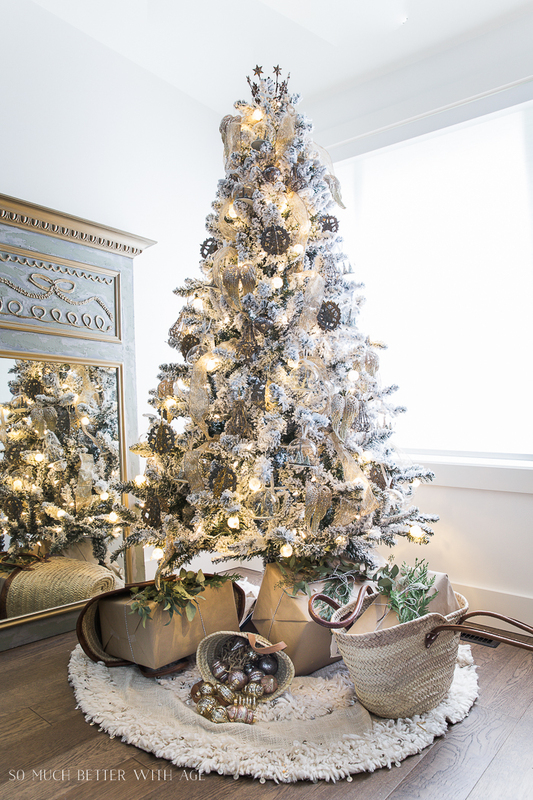 I used my French baskets to hold the gifts under the tree. 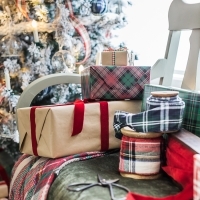 I also have free Christmas gift labels for you to download to add to your gifts this year. Click the image below. I still love this tree! I bought it last year at Canadian Tire. You can find my review of it here. The crown is new and I’ve added it to the top of the tree like an angel or star. I’ve noticed they are sold out online at The Cross but I found a similar one on their website. I hope you enjoyed this magical & merry tour. 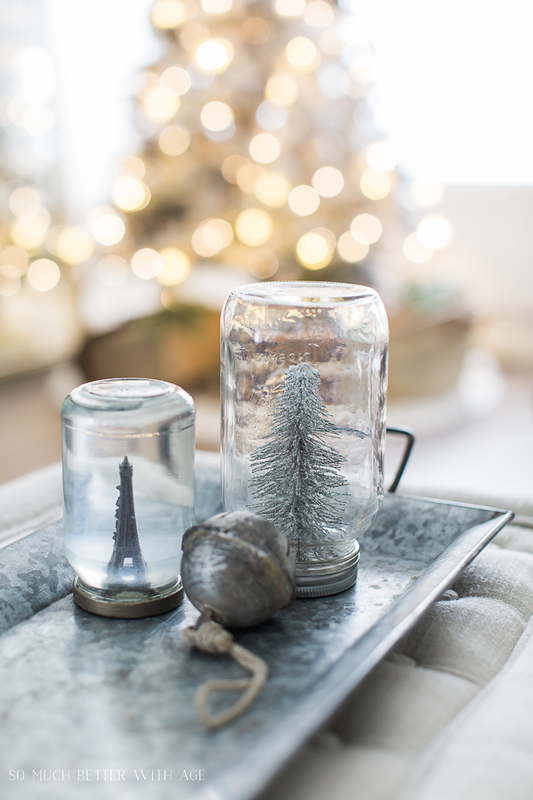 It was so much fun to decorate it for you this year. Thank you for being such a lovely reader! 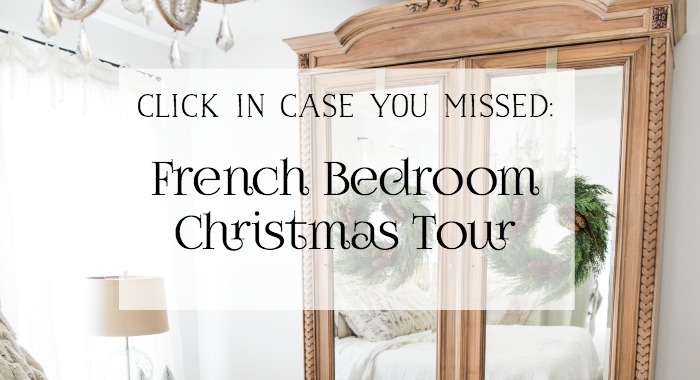 I hope you enjoyed my French Vintage living room and mantel Christmas tour today. Now be sure to visit The Belmont Ranch to continue the tour and be sure to visit all the lovely ladies below. 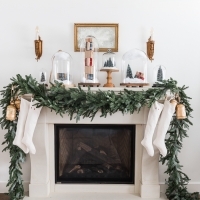 Jamie, your mantle is absolutely amazing! I love the simplicity of the white stockings too! Gorgeous! Jamie this is absolutely stunning. I adore your style! Thank you Sarah! Such a great tour. How gorgeous! Yours is my favorite holiday home tour to check out every year. Simple but so elegant. Thanks to your link, I just bought the wood tassel beads from Soft Surroundings, too! I have been looking to make some but come up short on materials. Can’t wait for your book! Aww. thanks Jeanette! You’re too kind. It looks exactly as it should Merry and Magical, i love and tree and mantle, thanks so much for sharing. 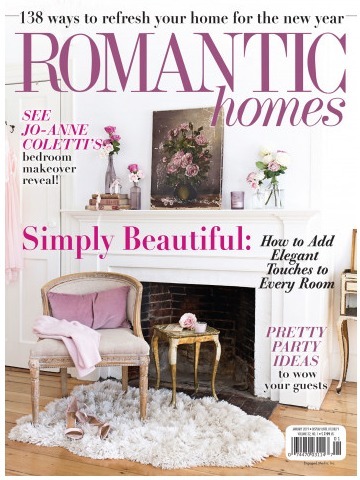 Jamie, Your home is so beautiful! 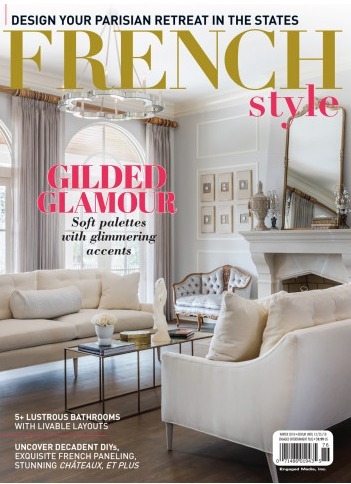 Every detail is thoughtful and the entire look is so elegant and refined. Thanks for giving me something to aspire to! 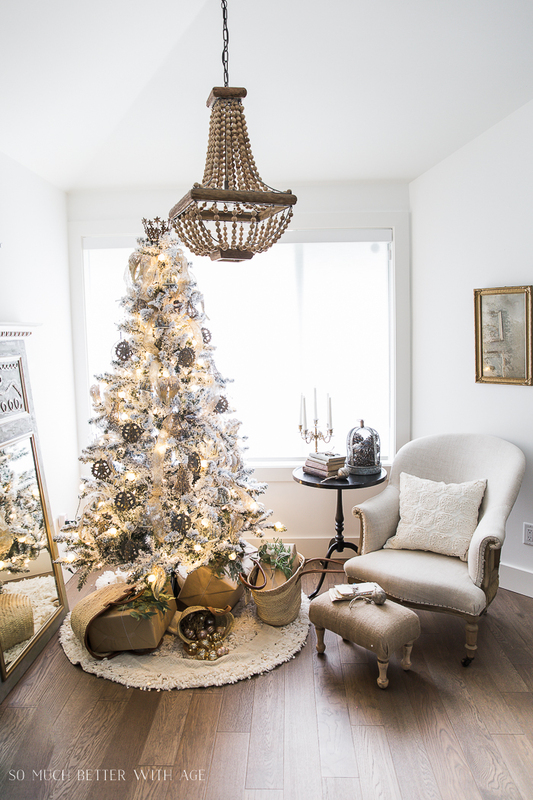 You really have created a gorgeous holiday home! Jodie & Julie! You two are the sweetest. Thank you so much. It’s been great being on this tour with you! 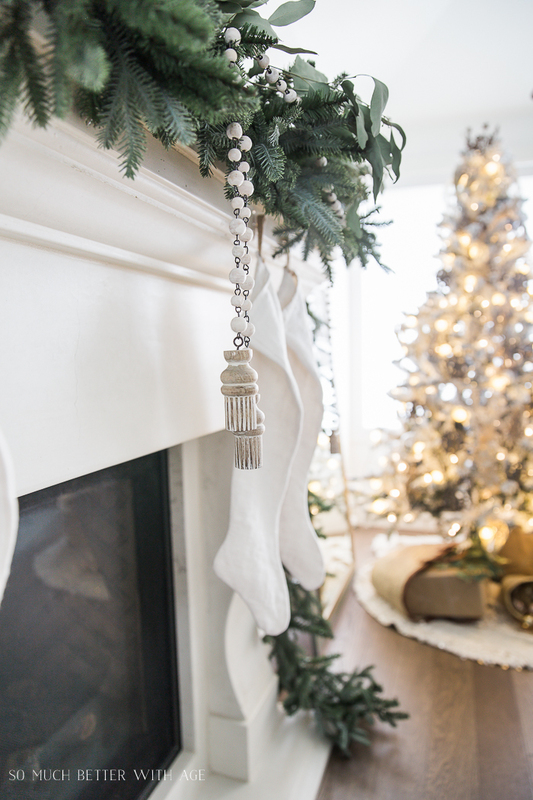 Where did you get your mantel? I love the look, but have no idea where to even start looking for one. Foxcraft Stoneworks made our fireplace but you might try googling ‘cast stone fireplace’ in your area to find a similar place. 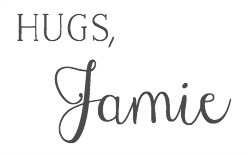 As always Jamie, I adore everything you do!! 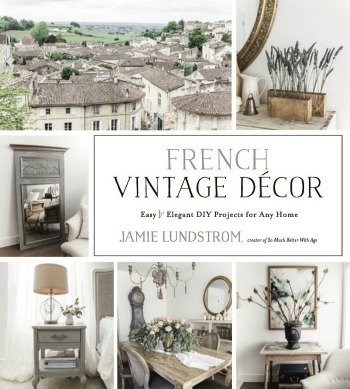 Thank you for sharing your gorgeous French decorating at Create, Bake, Grow & Gather this week. 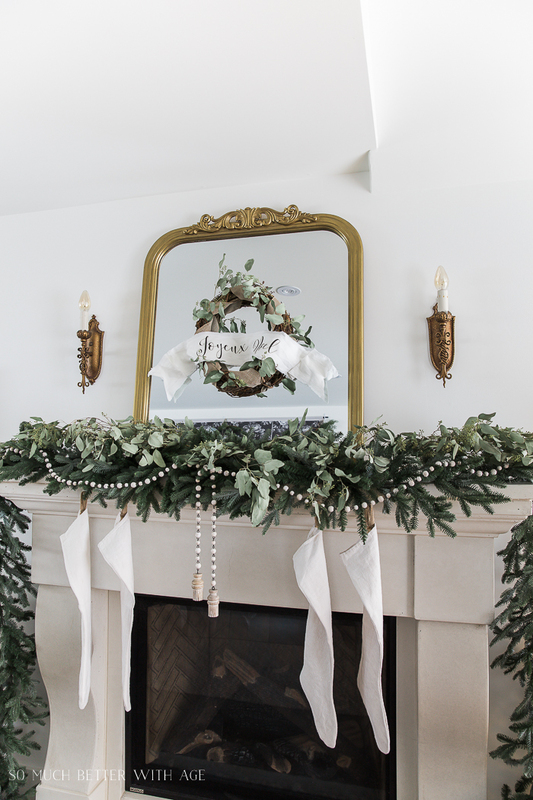 I’m delighted to be featuring this beautiful mantel and living room at tonight’s party and pinning too. Kerryanne, thank you! You are the sweetest! I adore everything YOU do, my friend.